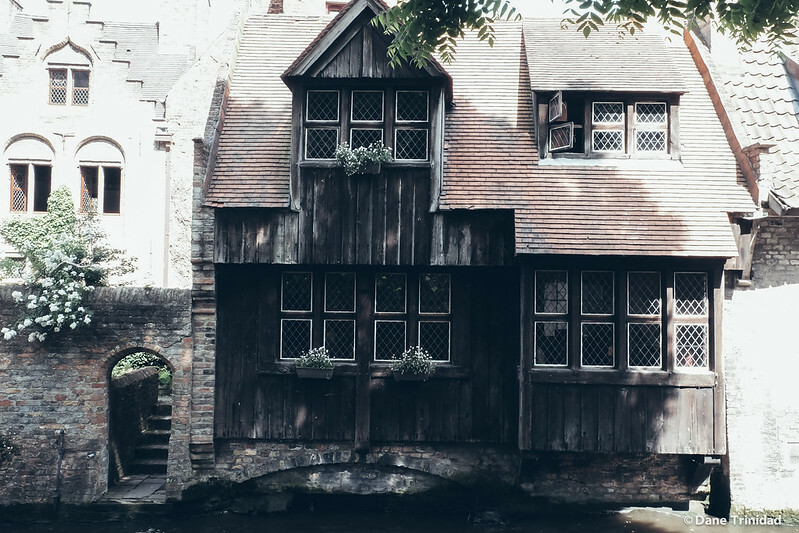 Off the beaten path destinations always spark an interest in me. 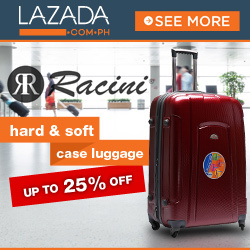 Usually these places give you the best humble & local experience. So, upon learning that there’s an upcoming long weekend in Germany on June , I immediately booked last minute (day before the trip!) 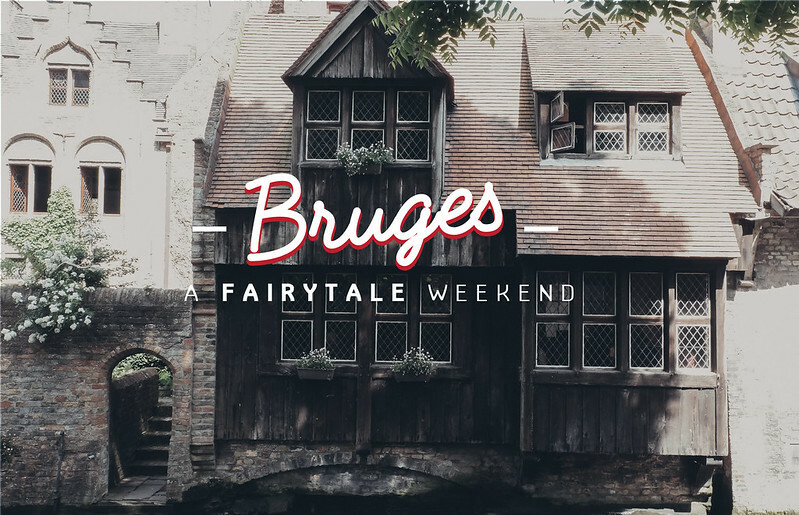 Flixbus tickets ( I purchased Interflix for the best value) and Airbnb (I’m giving $22 discount on your first trip) to Bruges- a fairytale like photogenic city in Europe! Step-gabled houses in the main square. A really quaint spot at the back of Church of Our Lady. 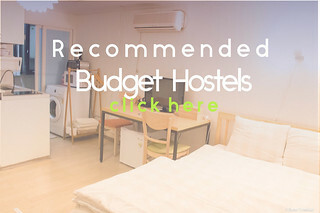 As I have mentioned in my previous posts, I love to budget travel solo most of the times and decided that I’ll do it again for my Bruges trip. Upon my research it’s a very safe city and should be perfect for my soul-searching-artsy-fartsy-photo-walk interests, plus all sorts of introvert stuff. 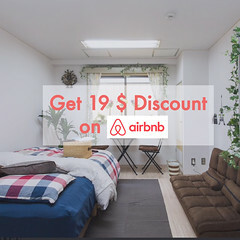 I booked for a place near to the center, and was so happy that I made a really nice choice. Lineke’s place feels like home and she’s so nice that I felt like her close friend even we just met (plus her cat Puk is cute and chubby too)! 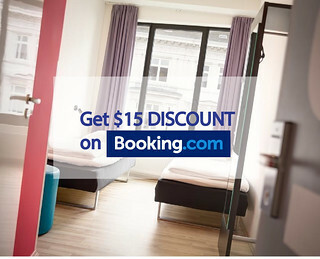 I highly suggest her place if you want to have a feeling of home in Bruges (click here to book her place)! Our walking tour group led by Legends of Bruges. Must try when you are in Bruges! 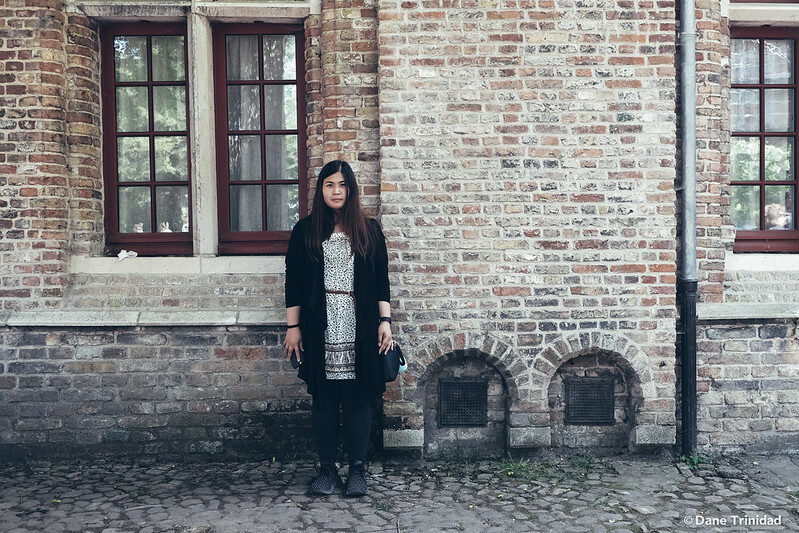 I basically stayed for 2 days and 1 night in Bruges. For Day 1, I started my day with a free walking tour by Legends of Bruges. I’ve experienced several walking tours in various parts of Europe and all are great including this one. 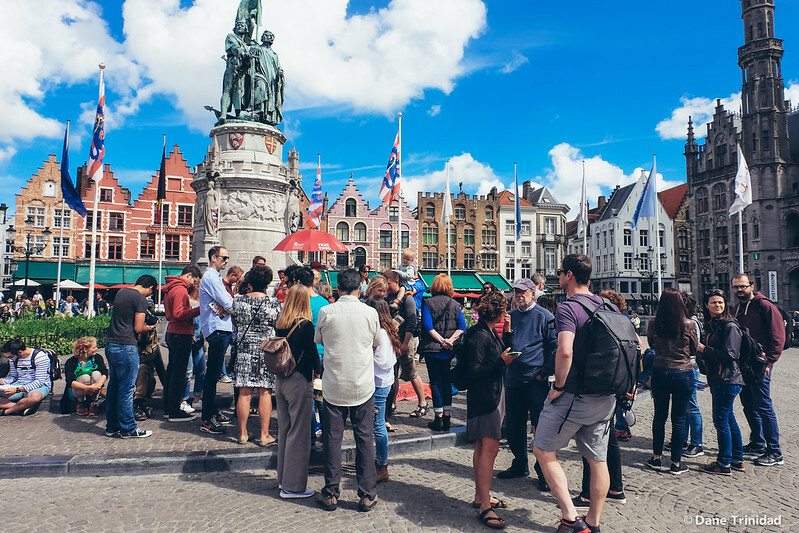 Basically, no need to register, just show up in the meeting place (in this case, in front of the statue in Bruges market), and join the group of tourists led by a “local”. 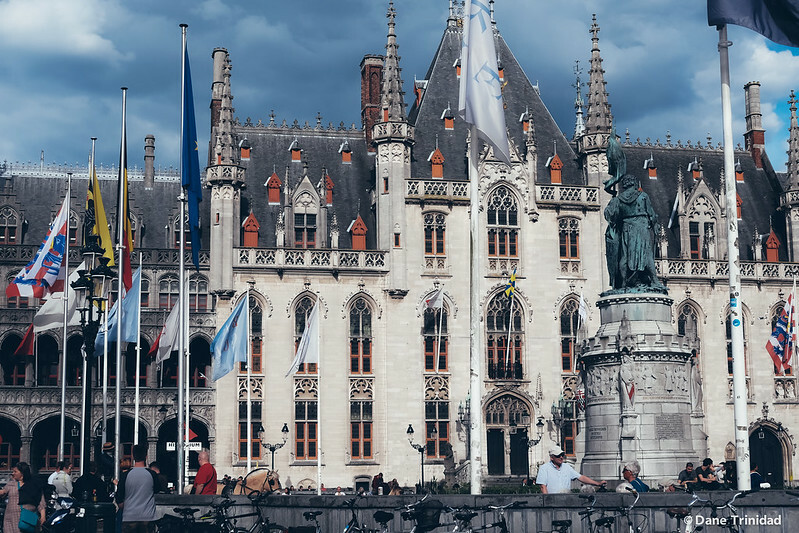 Our tour guide’s name is Pascal and he’s really good- explaining the history and legends behind the top spots of Bruges in a funny yet witty manner that you won’t get bored in the 2.5-3 hour walking tour. 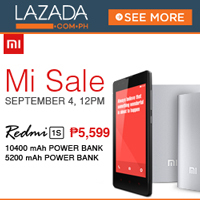 At the end, you have the option to give any amount of money you like for the great service that they’ve provided you. Chocolate covered waffle from Go.Fre! Super yummy! 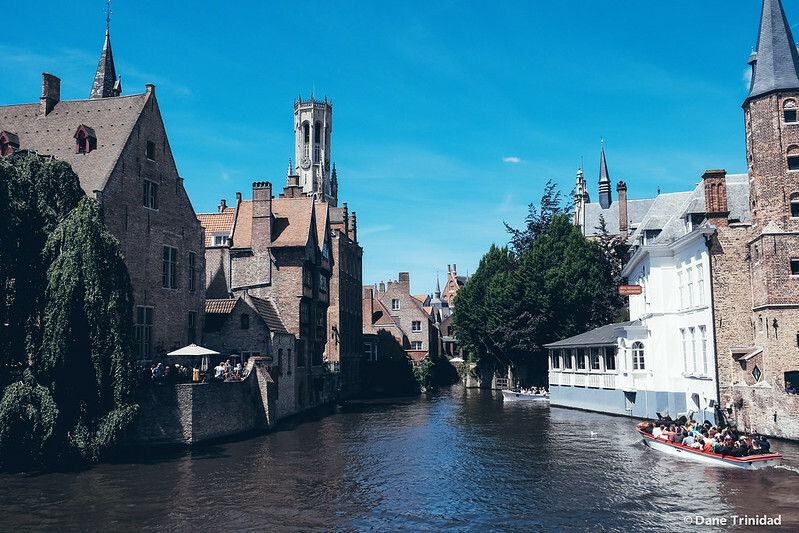 Now, for the must visits, Bruges is a small, quaint town so you can get almost everything covered in a day. 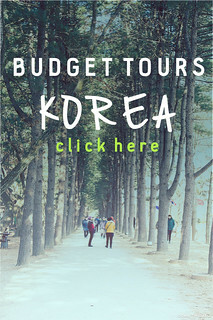 I personally don’t prefer museums and indoor destinations much so most of the places I visited are from the outer facade only (so, no entrance fees as well- yay for budget trips). 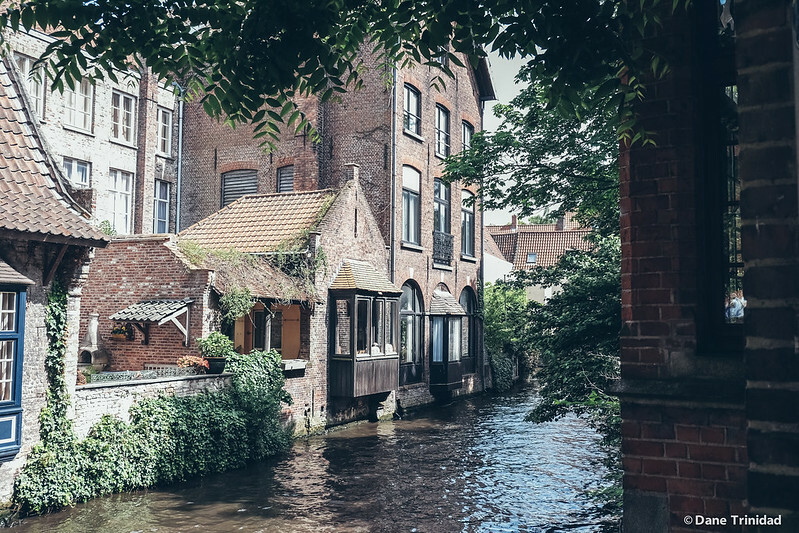 You can check my top 5 favorite spots ( in no particular order) below, but I’ll also create a detailed posts with the legends behind the spots in Bruges. 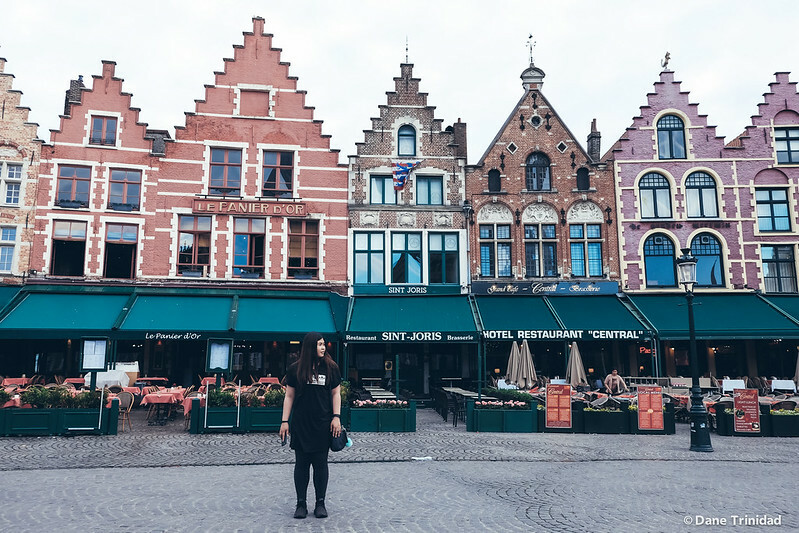 This is one of the famous spots in Bruges that has several step-gabled, gingerbread looking, colorful houses. 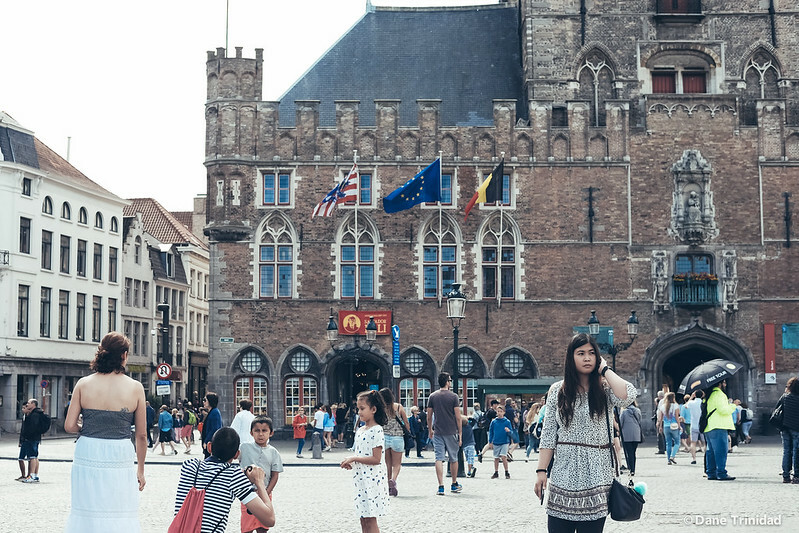 It’s located in the same square with Historium– a museum that will take you back to the Golden Age of Bruges. I wasn’t able to try it personally, but If I come back I’ll definitely visit it since it’s highly recommended by one of my friends. Cost & Opening hours: 0€ for Markt since you just need to look at it from outside, and 17€ for Combi (Historium + VR ticket), Open daily from 10:00 am to 6:00 pm. Also open on Sundays and holidays. This is a medieval bell tower and is one of the landmarks of Bruges.It has366 steps and gives you a great view of the town. It’s also located in the same square with Markt. Unfortunately, I wasn’t able to climb the top since it was already closed when I visited it on my 2nd day. Cost & Opening hours: 10 €, Open daily from 9:30 am to 6:00 pm. It is a tranquil convent garden inhabited by nuns of Order of St. Benedict. It houses St. John the Baptist church. It’s a very serene place where you can sit and relax. 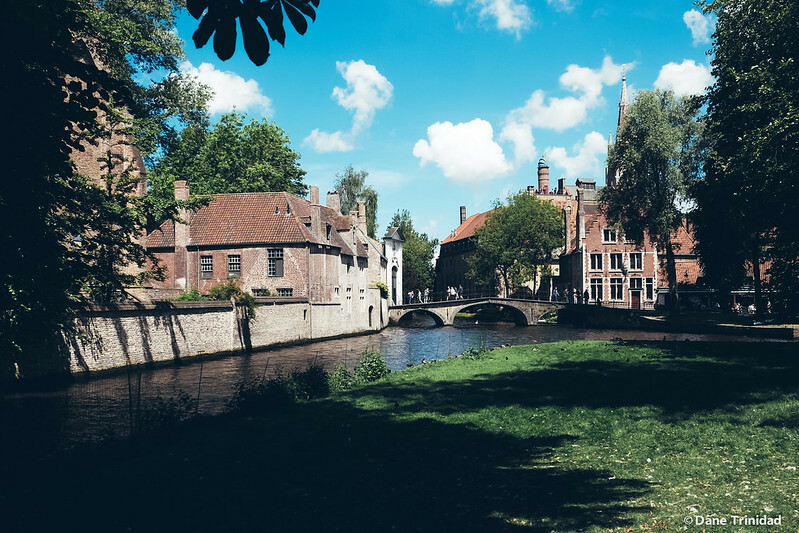 Just outside its doors are several swans (long necks) of Bruges calmly resting in a perfect photo spot of Wijngaard Bridge to the Beguinage. 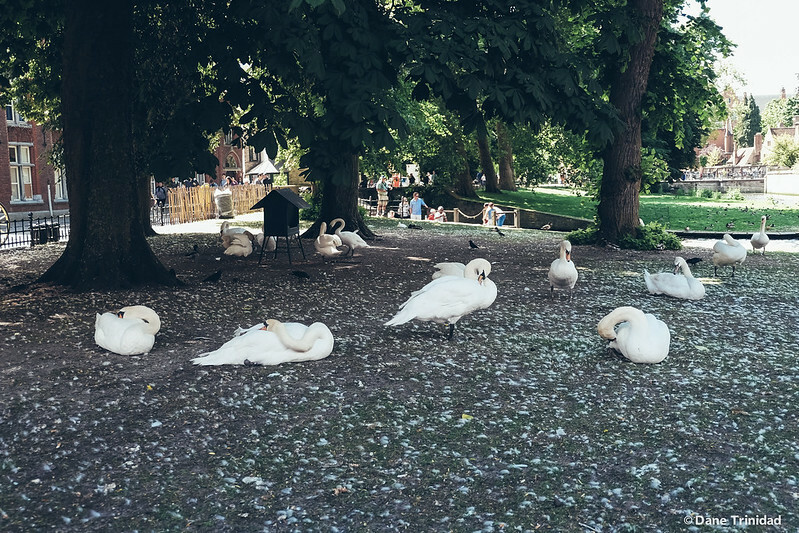 The presence of several swans in the town is dated back to the legend that Maximilian of Austria wrote a decree (as a revenge) that the city should be required at its own expense to keep swans on all its lakes and canals, until the end of time. Cost & Opening hours: 0 €, Open daily from 6:30 am to 6:30 pm. The view from the center of Bonifacius bridge. 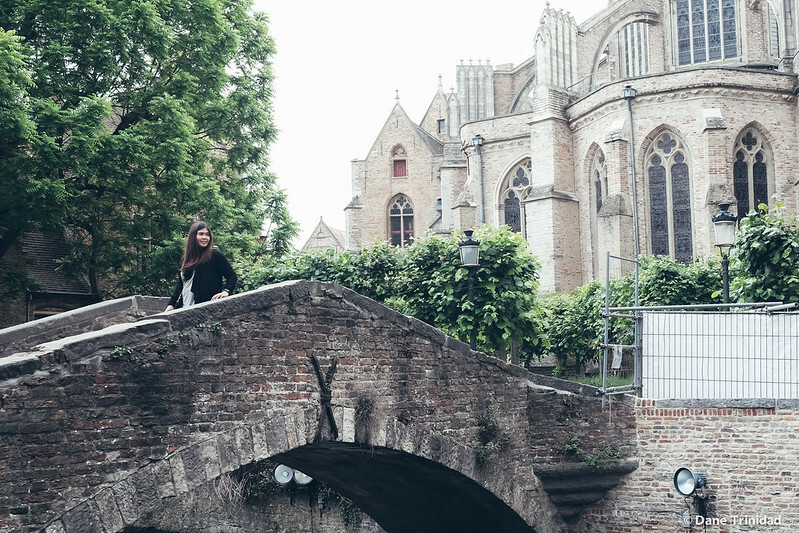 The Church of our Lady is the second tallest brickwork tower in the world, while Bonifacius bridge (at the back of the Church) is one of the fairytale-like area in Bruges. 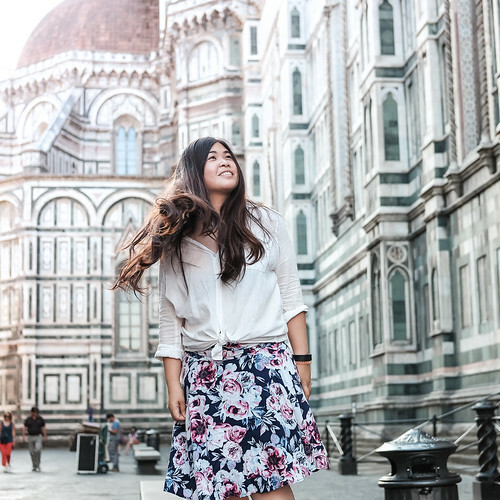 This is really one of the favorite romantic spots in the city and I even came back at night time (around 7PM) to experience it without the surge of tourists. If you go here, without a boyfriend, be prepared emotionally since it’s always full of couples, making you wish that you brought someone to hold hands with. Cost & Opening hours: 0 €, Open daily from 9:30 am to 5:00 pm. The bridge is open all day long. 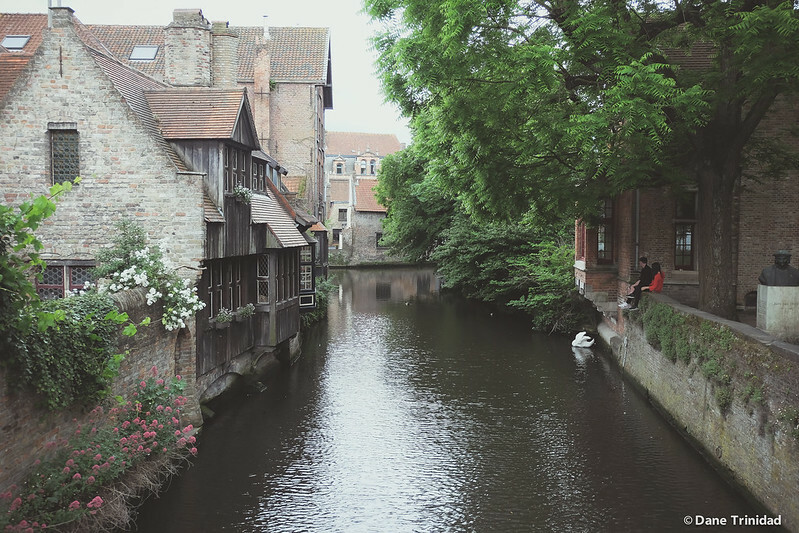 This is one of the prettiest canals of Bruges, and the most photographed spot of the city as well. From this spot, you can take a great panorama of the canal, Belfort, Church of Our Lady, with the weeping tree. If you have time, it will be great to take a photo of this at night, with all of the magical reflections in the water. Cost & Opening hours: 0 €, Open daily anytime. 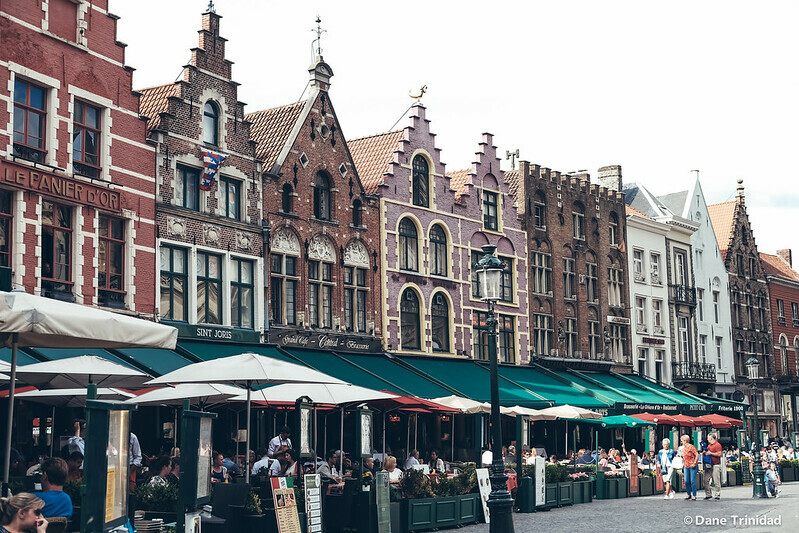 Aside from these places, of course, do NOT ever forget to eat Belgian Fries, Belgian Waffles, and Belgian Chocolates! 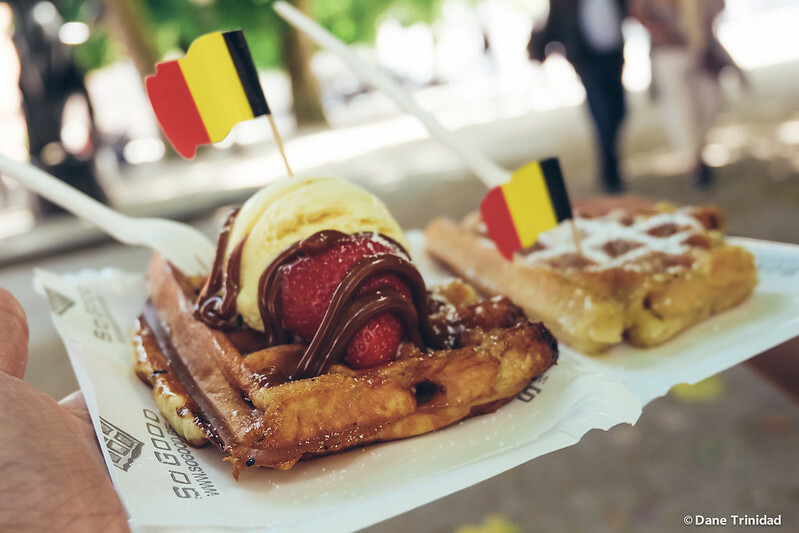 The best waffles in Bruges is the mini-foodtruck in the Old Square where the Church of the Holy Blood is located. 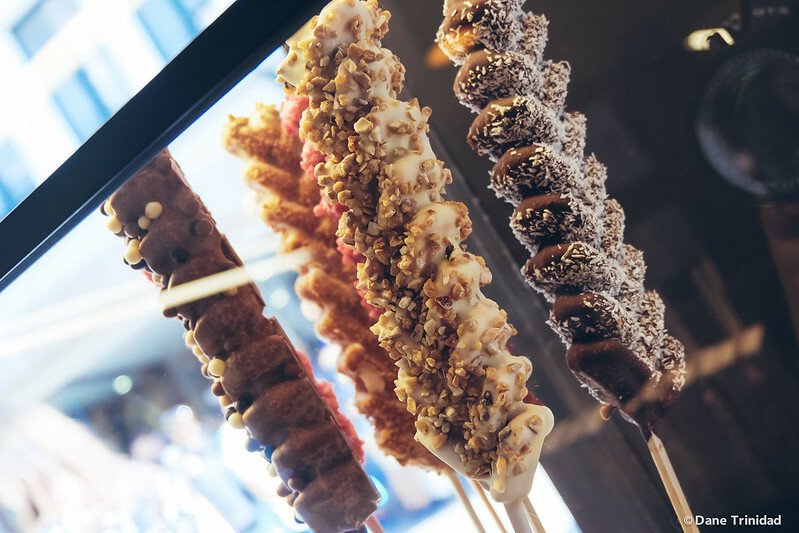 For fries, try either of the 2 stalls in the Markt, and for chocolates, try to pick various types from the numerous stores in the town.